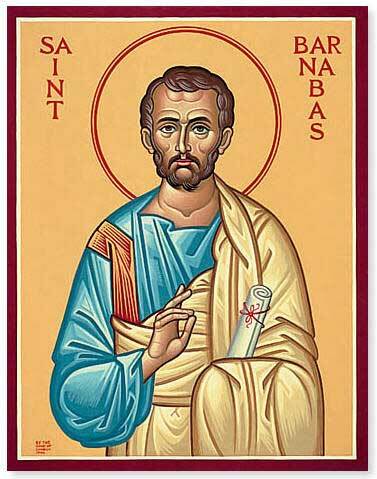 On Thursday morning, June 11, we celebrated the Feast of St. Barnabas, Apostle and Martyr. Father Jon Robbins celebrated while I gave a reflection on the patron saint of the day, Barnabas, the Son of Encouragement, the Son of Consolation. During the week, our biblical readings have been focusing on the marks of mission. However, on this day, the readings for the Feast of St. Barnabas were used. I remarked that though this was not the original intention, it is a joy that during the week that we are always engaged in missionary work, we celebrate the Feast of one of the church’s greatest missionaries, St. Barnabas. Knowing what it meant to be a missionary, Barnabas was the one who was instrumental in going to Tarsus to find Paul, once called Saul, and brought him to Antioch where they both taught a great many “Christians,” a name that was first given to them at Antioch (Acts 11:19-30). Father Tony, leading a seminar on “Forgiveness and Reconciliation” for Clergy and Lay Leaders. In addition, to the lecture, there was healthy discussion on some of the challenges that the Diocese of Belize faces as a whole when dealing with forgiveness and reconciliation. I can assure you there challenges are very much the same kinds of challenges that churches experience everywhere. Originally scheduled to last for two-and-a-half hours, the seminar lasted for about three hours. 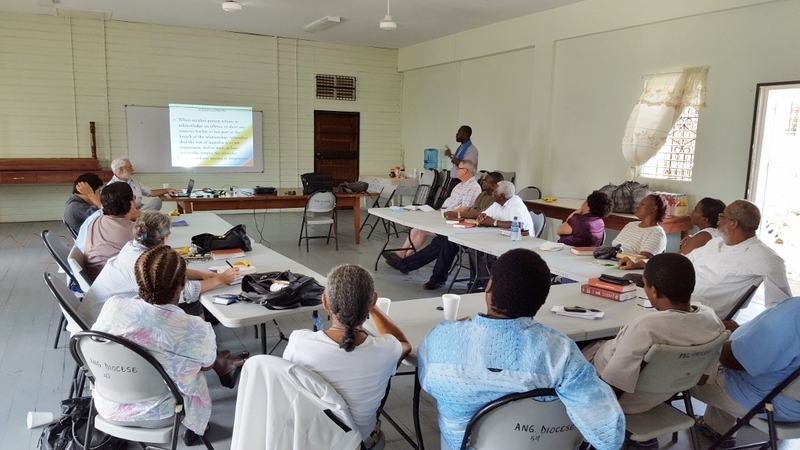 It was a wonderful seminar with “great food for thought,” and the hope that forgiveness and reconciliation will become an integral part of the lives of Belizean Christians. Following the seminar, I returned to the hotel for rest and relaxation since I had only slept for 90 minutes that night. 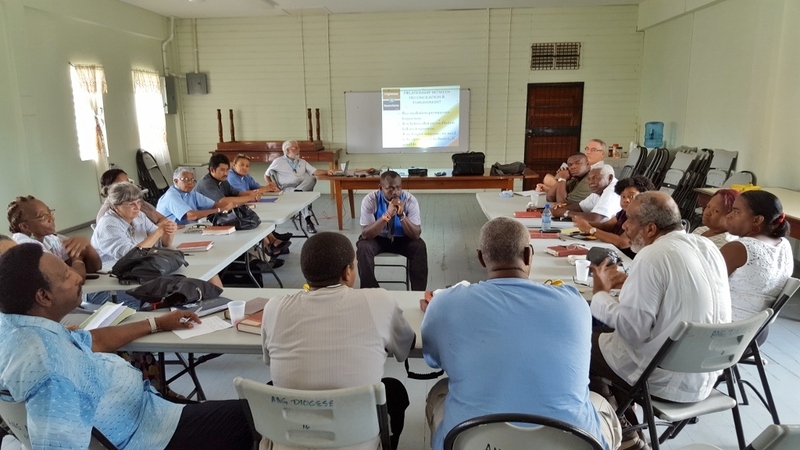 I edited my seminar since it was originally prepared for clergy only, and then on arrival in Belize I learnt that lay leaders would also be in attendance. 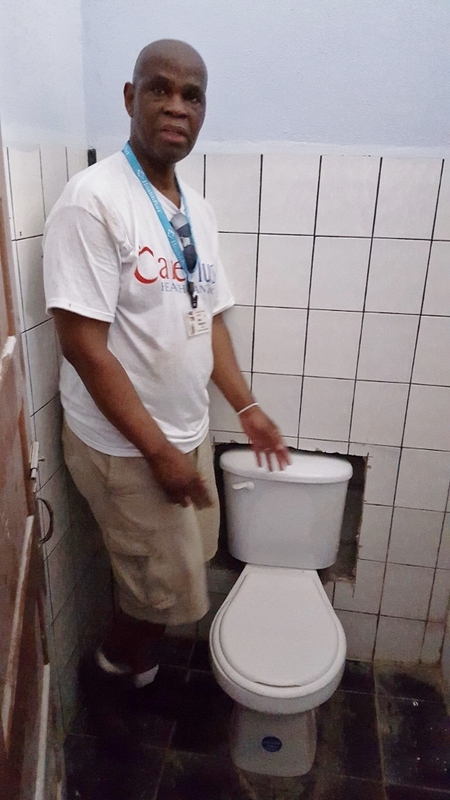 I rested a bit and then spent the rest of the evening before dinner with some of the missionaries who were on the Vacation Bible School and Construction teams. They arrived later from their work in the field. 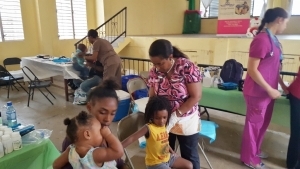 Dr. Patricia Rowe-King examining a child at the Pediatric Clinic. The various branches of the team had a wonderful day. The Adult and Pediatric Medical teams catered to the needs of over 200 children and adults. 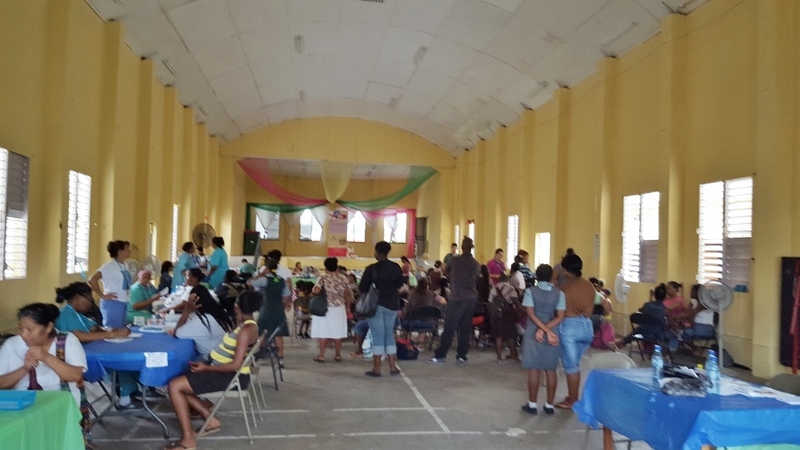 The Vacation Bible School engaged in spiritual enrichment at St. John’s Anglican School, in the morning, with the 8th and 9th graders of the Anglican School at Queen’s Square. Father Jon Robbins also led a reconciliation talk with a group of students of both the Anglican School at Queen’s Square and St. John’s who were having conflict issues among each other. The exercise was also shared with the 6th and 7th graders of both schools. From all reports, it was well received. In the afternoon, the Vacation Bible School team went on to All Saint’s Anglican School to work with the students there. By the end of the day, the construction team had nearly completed the painting of the school building, and the restroom facilities, at Queen’s Square. 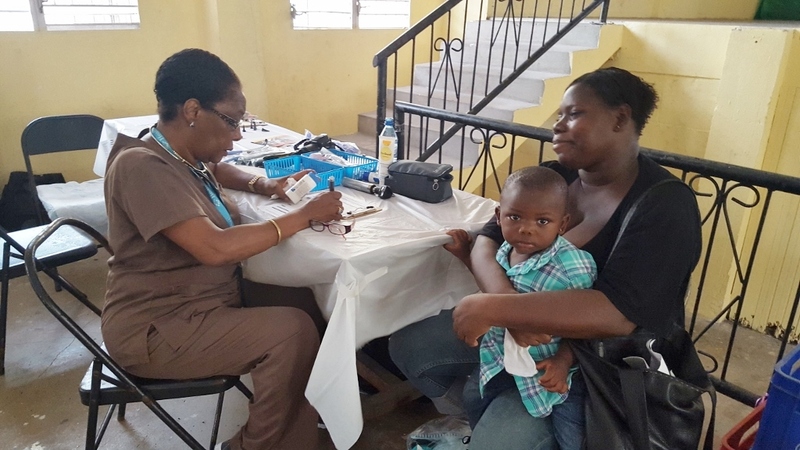 Dr. Arlene Richards, writing a prescription for an adult patient. 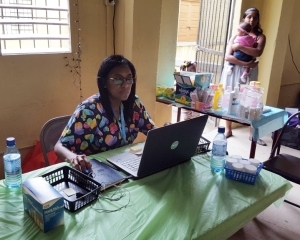 Debbie Stevens, recording pediatric patient information. assisting us in the preparation of and making the mission a success. Among those attending were the General Manager of the Anglican Schools, Principals of the Anglican School at Queen’s Square, St. John’s, and St. Mary’s Anglican Schools, Father Eric Richards, Priest-in-Charge of St. John’s Cathedral, his wife, Veralyn, and grandson, Sehon, and Henry Cunningham IV, the nephew of our missionaries, Henry and Erna Cunningham, the latter being our Mission Team Leader. Henry IV helped tremendously with our transportation of equipment and bags. It was a wonderful night with great food and fellowship. After dinner and our guests had departed, some of us went to hear and participate in Karaoke. We later retired for the night. Father Tony listens to Canon Leroy Flowers of St. Mary’s, Belize City, in one of the discussion sessions of the seminar. 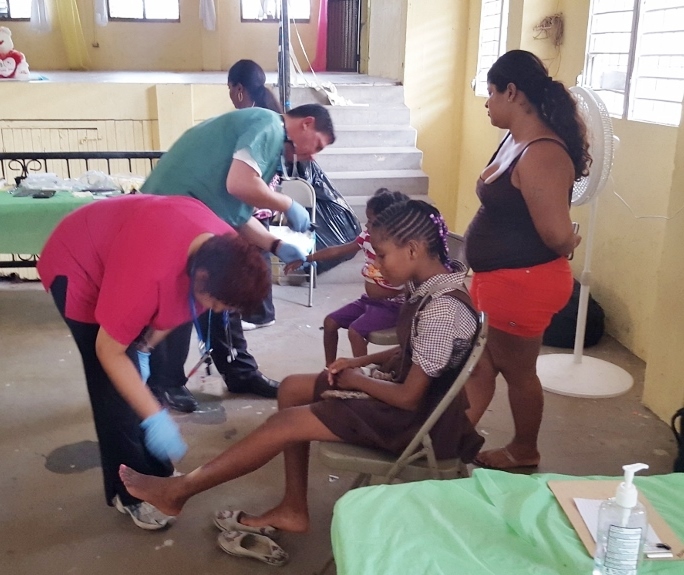 Physician Assistant, Christopher Rodriquez, and Nurse Practitioner, Carol Bhim, examining children during the Pediatric Health Clinic. Inside the Parish Hall where the Adult and Pediatric Health Clinics took place. 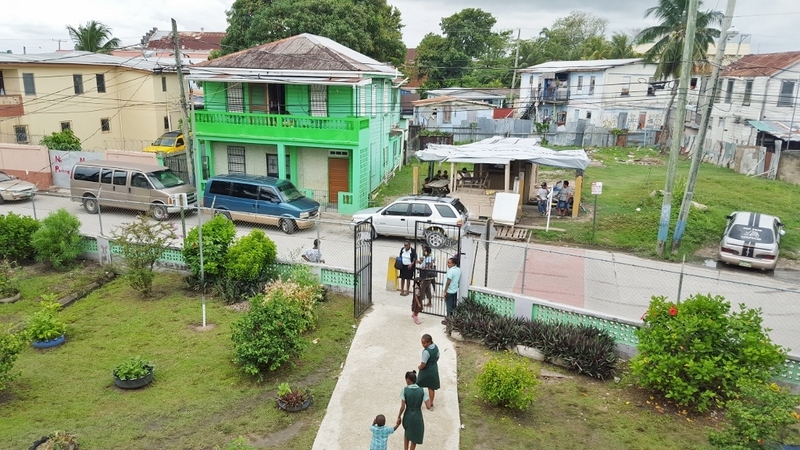 The view opposite St. Mary’s School where the Health Clinics took place.